Bmg is proud to be an authorized Dealer for Big Glass Openings (BGO). BGO is a Canadian manufacturer of high-end aluminum door and window systems based on a European system engineered by Reynaers Inc. Also based in Barrie Ontario, BGO has an elegant showroom highlighting some of the options available for their bi-folding doors, lift slide patio doors, garden doors, tilt turn windows and much more. They specialize in offering the best thermal performing aluminum systems on the market and huge glass sizes. All the systems are meticulously designed with high-quality fabricating processes tightly controlled to ensure the delivery of window and door not matched by any other manufacturers. Big Glass openings is also an authorized Dealer for Lumon Canada. 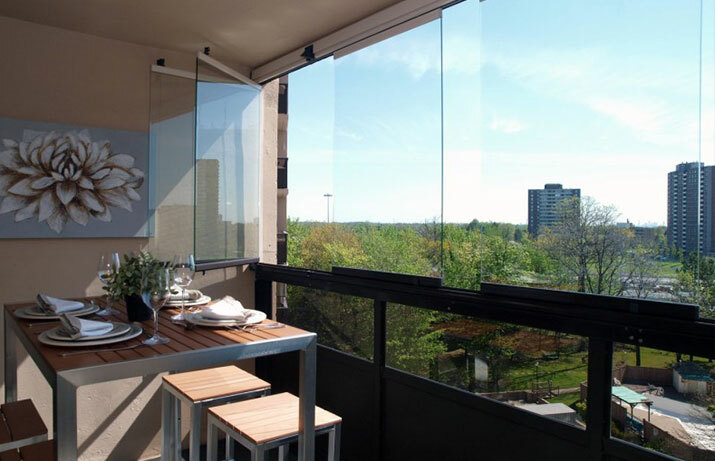 If you have a deck or sunroom or patio or balcony and want an operable glass enclosure that gives you an open-air option or protection from the elements, then this system is what you need. Please contact Big Glass Openings for a free estimate and consultation.